UniTorq offers a selection of Solenoid valves with NAMUR mounting for direct connection to our actuators. Our solenoid series eliminate costly tube and fittings while providing high-cycle, high-flow, fast response capability. Manufactured with our high quality standards, our solenoid series provide the same reliability in tough industrial settings as our actuators. 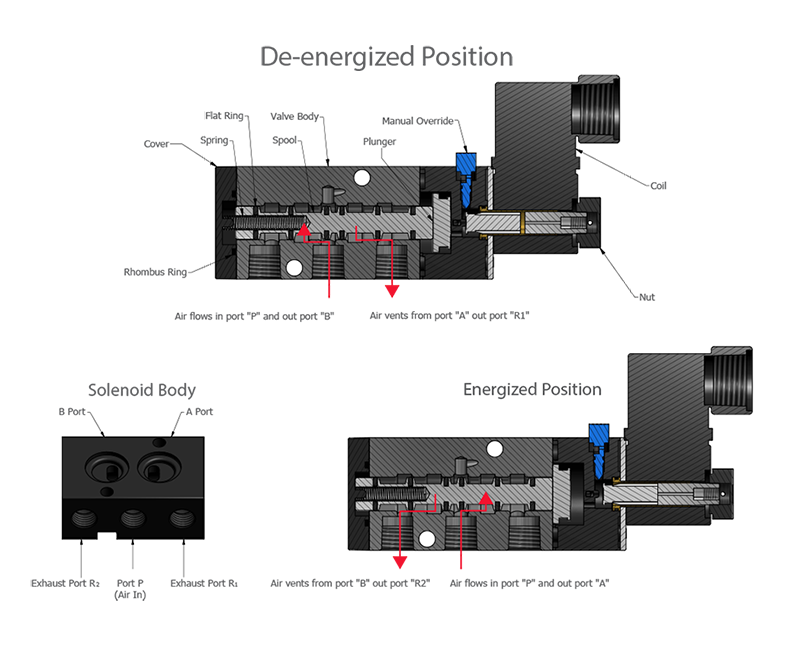 Intelligently engineered, our unique 5 port, 2 position design allows the same solenoid to be used on spring return and double acting actuators. Standard features include Buna-N O-rings and a manual override. We offer high temperature or low temperature seals to meet the demands of your application, and NEMA 4, NEMA 7, or intrinsically safe models are available. UL, CSA and CE certification is available. Please contact UniTorq for solenoid drawings.